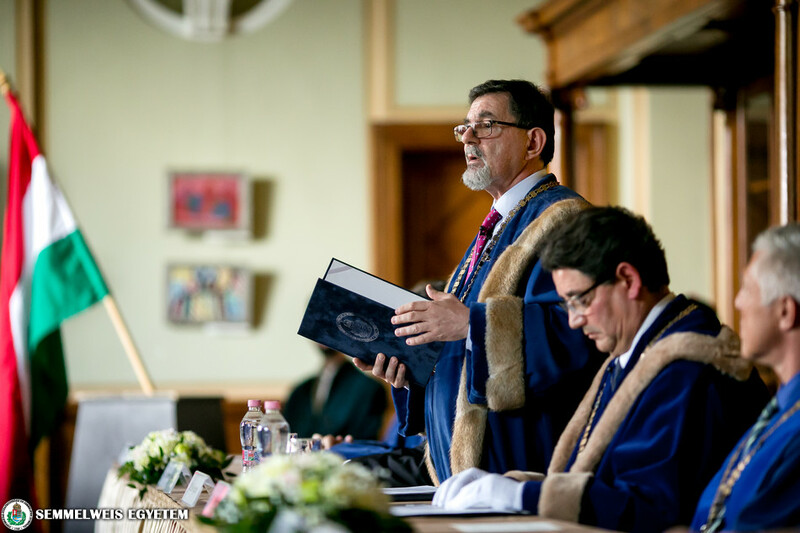 Dr. Béla Merkely, the new rector of the university taking office on 1 July 2018, took his oath in the presence of Dr. Miklós Kásler, Minister of Human Capacities, Dr. Ágoston Szél, outgoing rector, and the university’s leadership. 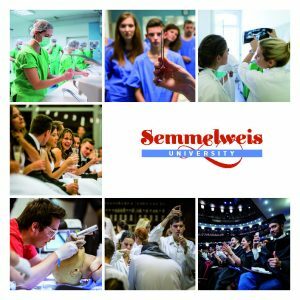 The inauguration ceremony at Semmelweis Salon revived a previously lost tradition, symbolizing the intertwining of tradition and innovation in the life of the university. 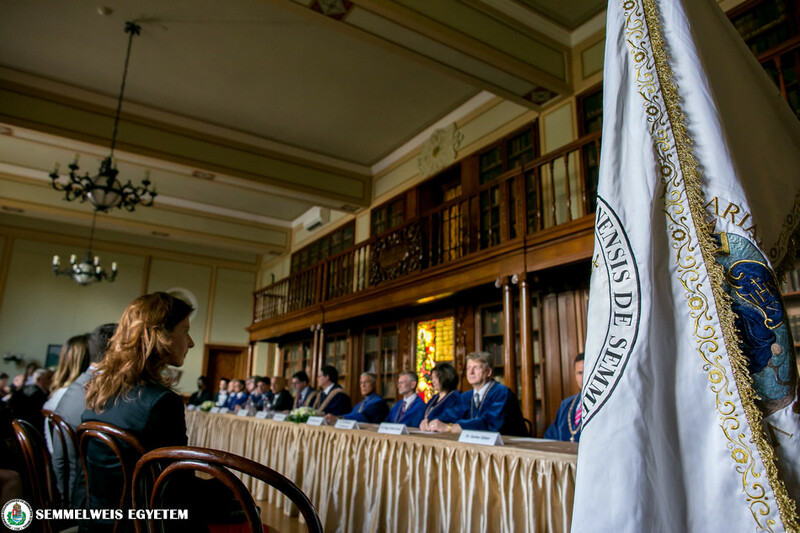 In the life of the University of Pest, which was the predecessor of Semmelweis University, Péter Pázmány University and Eötvös Loránd University, the inauguration of new leaders and the resignation of old leaders took place during solemn ceremonies. The ceremonies, the dates of inauguration and the terms of office have changed a lot over the centuries. 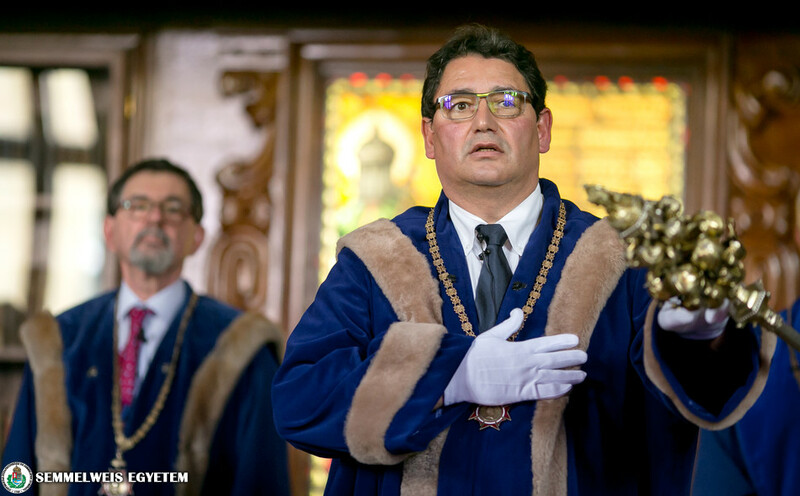 The outgoing rectors have given over their experience to their successors, drawn their attention to the most important events, anniversaries, and have greeted the new rectors with their thoughts on the university as well as their advice. 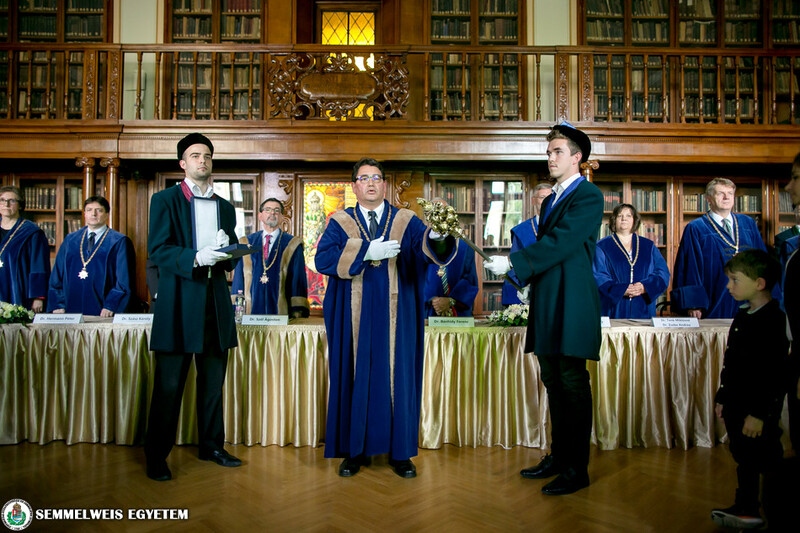 Since 1860 the new rectors of the university have taken their oaths with their hand on the sceptre. 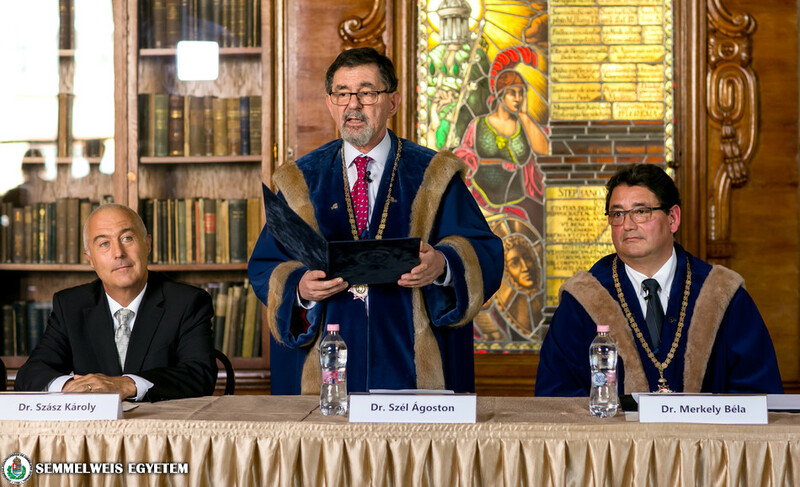 At the inauguration ceremony, first Dr. Ágoston Szél, the outgoing rector welcomed the participants. He said he took his leave from his chiefship with ambivalent feelings because in spite of the difficulties, he fulfilled his tasks with happiness and wholeheartedly on each day of the last six years. 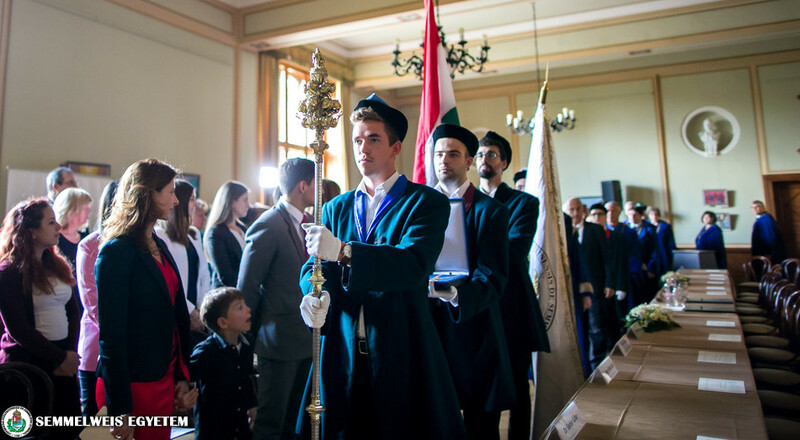 Dr. Szél also added that the festive ceremony symbolizes the continuity in the importance of the work of the university’s leadership and the relation between the outgoing rector and the rector taking office will also be fruitful for the university in the future. 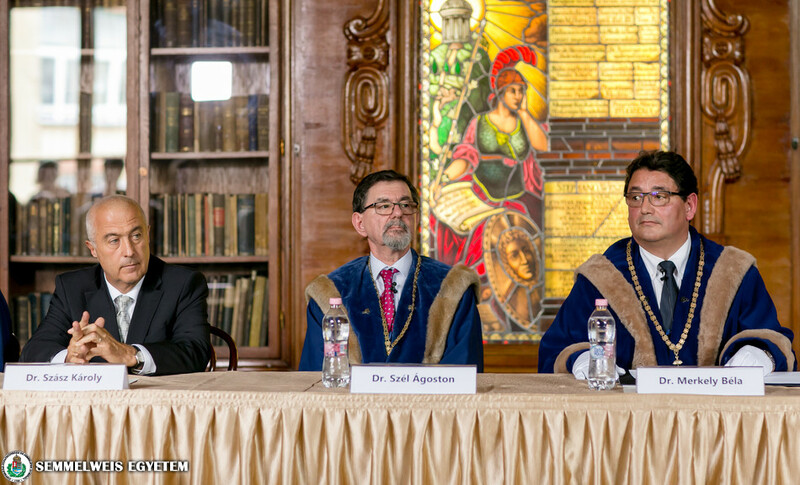 Dr. Ágoston Szél did farewell to the past six years with the words of János Szentágothai, anatomist, and finally lent the thoughts of St. Augustine to give guidance to his successor and wished successful work for the rectorship. 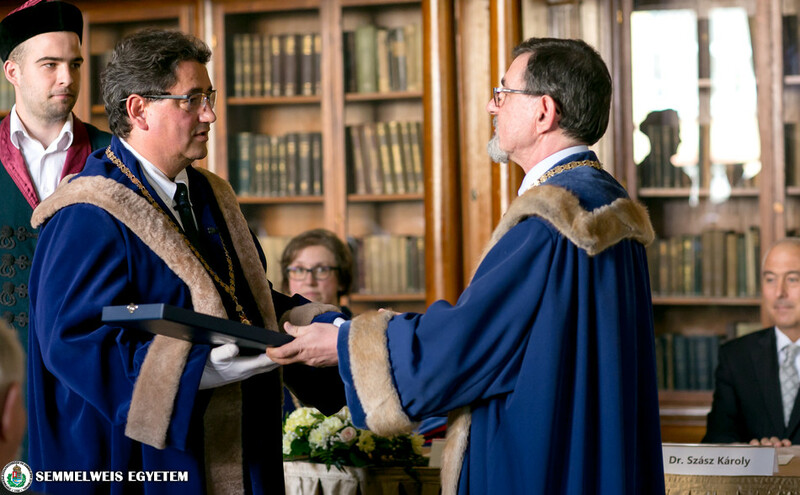 After his speech, the outgoing rector handed over the original honorary chain, which had been given to the medical faculty of the University of Pest in 1819 by King Frances I, to Professor Béla Merkely. 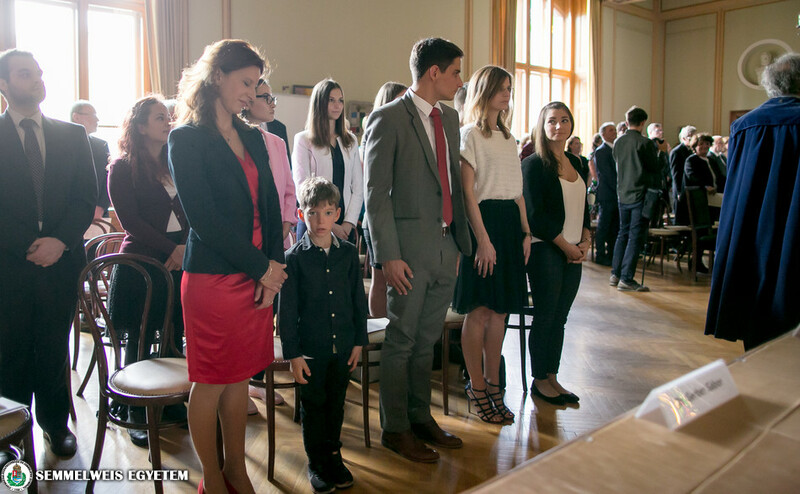 The new rector, appointed by the Senate of the university and nominated by the President of Hungary, read his oath. 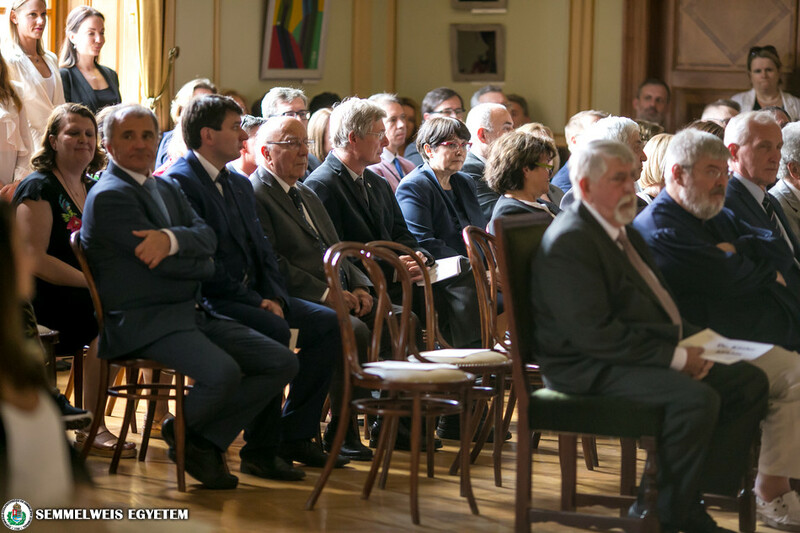 Dr. Béla Merkely took his rector’s oath in the Semmelweis Salon in the presence of Dr. Miklós Kásler, Minister of Human Capacities, Géza Szőcs, the Prime Minister’s deputy, Dr. István Mikola, Hungarian Ambassador to Australia and former Minister of Health, Dr. Miklós Réthelyi, rector emeritus and former Minister of Human Capacities, Dr. Szilárd Nagy, Deputy State Secretary at the Ministry of Human Capacities, Dr. Péter Sótonyi, rector emeritus, and Semmelweis University’s Senate, leadership and students.